If you are viewing this web site - you no doubt are someone who understands and believes in quality craftsmanship. We at Vans Builders believe in quality craftsmanship as well. We pride ourselves in customer satisfaction and quality built homes and additions. 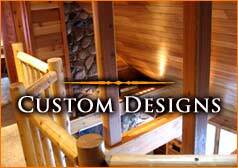 For nearly 30 years we have designed and built numerous homes and businesses in the Eagle River area. 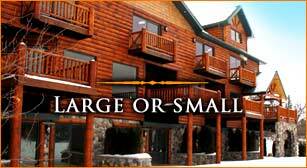 From small cottages to large-scale condominium and hotel projects - we can handle it all. After years of building traditional homes, one thing was missing – a full log home project. 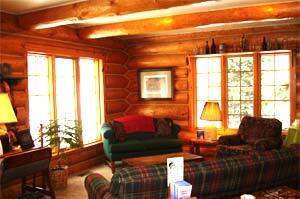 Log homes have been a passion of ours for years and we have worked on many but had not built one on our own. Many of the log homes we had worked in did not stand up to the level of quality craftsmanship that we pride ourselves on. After searching all over the United States for a log home package that matched our dedication to quality, we found what we were looking for right in our own back yard – Snowy Range Hand Crafted Log Homes. The reasons are many. All of their logs are harvested locally in Wisconsin and the U.P. of Michigan which makes them more stable for the area. The logs that Snowy Range use are kiln-dried, eliminating many problems that full log homes can bring. 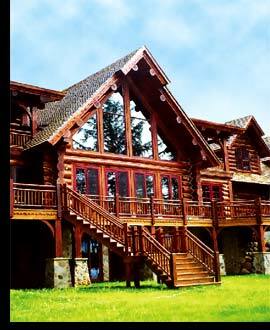 Snowy Range log homes are all hand-crafted by the same craftsman, Steve Cohen. 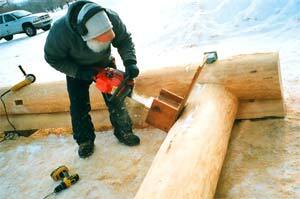 He constructs the log home on his site, disassembles and re-assembles on your site. His great passion for quality log homes coupled together with Vans Builders’ dedication makes for a true masterpiece. If you can dream it, we can build it. We believe that you cannot find a better log home in the country, and we promise that working with Snowy Range Hand-Crafted Log Homes and Vans Builders will be a pleasant and rewarding experience. Call us today for additional details on why these log homes are superior to anything else you will find and to schedule a personal tour of many local log and traditional homes that we have completed.